Environmental Contaminants serves as a tool for environmental professionals to produce technically sound and reproducible scientific evidence. It identifies ways to clean up environmental problems in air, water, soil, sediment and living systems. Ethical issues, environmental management, and professionalism, and environmental economic problems are illustrated to assist the reader in understanding and applying quantitative analysis of environmental problems. Real life solutions for practicing environmental professionals. Example problems, sidebars, and case studies to illustrate ethical issues, environmental economic problems, and environmental management. 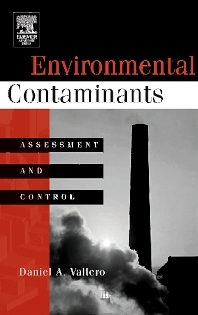 Explanation of scientific principles and concepts needed for risk assessment, waste management, contaminant transport, environmental hydrogeology, and environmental engineering & chemistry. A fully supportive glossary, appendices and tables throughout the text contain physical, chemical and biological resources necessary for all environmental practitioners.